He can’t say why or how, but Mayor Langford believes that an equestrian center and an Olympic-size swimming arena will revitalize the crime-ridden and economically depressed Five Points West area. Birmingham Mayor Larry Langford’s mastery at communication often seems to hypnotize many members of the City Council. At the April 8 council meeting, even Councilor Joel Montgomery—who often resists freewheeling spending—was drinking Langford’s Kool-Aid. Montgomery and five other councilors supported allotting $48 million for the mayor’s proposed upgrade to Fair Park and the surrounding Five Points West district—which Langford says will cost a total of $90 million. (Councilor Roderick Royal voted against the proposal, Councilor Abbott abstained, Councilor Bell was absent. )Predictably, Councilor Valerie Abbott remained suspicious of Langford’s economic notions. “I’m in favor of this concept. However, you know me. I’m always waiting for those little details,” admitted Abbott. “And in this case, I just want to get to the bottom line. I would like to approve money to develop a plan today, but not necessarily to allocate all the money, because at this point I do not know exactly what the money will go for.” Langford’s redevelopment plan for Five Points West includes an Olympic-size swimming arena [natatorium], equestrian facilities, and an indoor track at Fair Park. Several businesses, including hotels and retailers, are scheduled to open in the immediate vicinity as part of the area’s economic revitalization. The bulk of the funds for this project will come, at least initially, from funds raised by the increase in business license fees approved by the council three months ago. Though at the time those funds were earmarked for construction of a domed stadium. According to Langford, monies would not be due until 18 months after construction on a domed stadium had begun. Until then, according to Langford’s plan, funds generated by the license fee increase will be the primary funding source for the Fair Park plan. Other funding for the revitalization project will come from a one-cent sales tax previously approved by the council for economic redevelopment, as well as money previously approved for Fair Park but never spent. Regarding the development’s commercial versus its sports/athletic components, Abbott favors the latter, fearful that current Five Points West businesses might not be able to compete with new businesses. “I would like to see a redevelopment plan and a legal agreement, something we can sink our teeth into,” the councilor said as she also inquired about an ongoing operational funding source for Fair Park. Abbott also wants to know what the economic impact would be. That kind of information is often available whenever city economic development is proposed, but in this instance no economic impact study has been undertaken. This entry was posted in Uncategorized and tagged Birmingham, Books, City Hall, Critters, Dead Folks, Music, Politics, Space Exploration, Sports on April 17, 2008 by admin. A local author explores the Prohibition movement. Samford University religion professor Joe Coker’s new book, Liquor in the Land of the Lost Cause: Southern White Evangelicals and the Prohibition Movement, examines how the South took a Northern moral crusade and used it to advance its own morality. Here Coker shares a few thoughts on evangelicals, the South, and racism. B&W: What is the premise of your book? Joe Coker: It’s kind of a study of how religion influenced the Southern culture but also how Southern culture influenced religion, and how things like racial attitudes were adopted into the [temperance] movement. It’s about the roles Southern white evangelicals played in pushing for statewide Prohibition, basically beginning in 1880 and achieving victory by about 1915. It grew out of my doctoral dissertation. I’m working on a theological library cataloging temperance hymnals. There are hundreds and hundreds of hymnals written expressly for temperance rallies. A whole book of hymns was dedicated to eradicating liquor from culture. [Titles include "Rallying Songs for Young Teetotalers," "Temperance Songs for the Cold Water Army," and "An Hour with Mother Goose and Her Temperance Family."] Then I became fascinated with the movement, especially here. The temperance movement started in the North in the early 1800s and didn’t really take root here in the South before the Civil War. It was a Yankee reform movement tied in to anti-slavery and wasn’t very welcome. After the Civil War, it really took root among Southern white evangelicals. Was it evangelically driven in the North? It was driven by Northern white evangelicals. Canals built after the War of 1812 into upstate New York allowed liquor distilled from crops to be shipped into places like New York City or Boston, which led to a lot more drunkenness, which led to a lot of evangelicals being concerned about it. Was the entire North dry? Maine was the first state to pass statewide prohibition, but Maine and about a dozen Northern states went dry before the Civil War around 1840. Most of those prohibition laws were repealed by the 1850s through court challenges. Only one or two states remained dry. After the war, the Southern states went dry. Evangelicals in the South started flexing their political muscle. They wanted more reform. After the Civil War, Southerners really took on a sense of “Okay, we were wrong about slavery, but we’re still morally superior to the North.” The temperance movement demonstrated moral superiority to the North. Another motivation came from the tensions that developed from having a free black community in the South and concerns about African Americans exercising liberties, such as being able to go out and enjoy themselves. A lot of it was fear of having an African American community that was no longer under the control of a white majority. Some of these fears fueled arguments for Prohibition. There was a sense that black men would get drunk and sexually assault white women, which generally was the justification for a lot of the lynching taking place in that time period. So Southern white evangelicals tapped into this and said, “The solution to the lynching epidemic and the solution to perceived black lawlessness is to cut it off at the source, because if they didn’t have these saloons they wouldn’t get drunk, then they won’t attack white women, then they wouldn’t get lynched. And it was really that argument that was one of the most effective in persuading white voters to vote for Prohibition. Was there ever any talk of allowing only whites to drink but not blacks? Sometimes it was kind of couched as a paternalistic self-sacrifice: “We whites are willing to give up our right to drink in order to make society safer, because, unfortunately, [for] the black men in our society, [alcohol] leads them all to this behavior.” But there were few efforts to prohibit only blacks from drinking. Do you see vestiges of the temperance movement today? 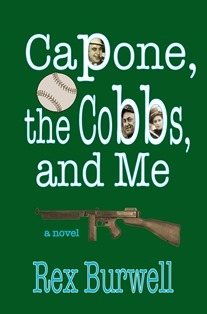 Coker will sign copies of his book at Jonathan Benton Bookseller in Mountain Brook Village on Saturday, April 12, from 2 to 4 p.m. Details: 870-8840. This entry was posted in Uncategorized and tagged Books, Politics on April 3, 2008 by admin. Hoover Library hosts To Kill a Mockingbird star. Mary Badham will speak at the Hoover Library Theatre on April 11 at 7 p.m. Admission is free. Call 444-7820 or go to www.hoover.lib.al.us/bigread for details. This entry was posted in Uncategorized and tagged Books on April 3, 2008 by admin.